The Journal of Attention Disorders published research on the prevalence of dysgraphia by age across all grade levels in students with ADHD or autism. Previous research indicates that children with ADHD and autism showed poorer handwriting quality (e.g., legibility, letter formation, alignment, spacing, and sizing) and reduced handwriting speed. 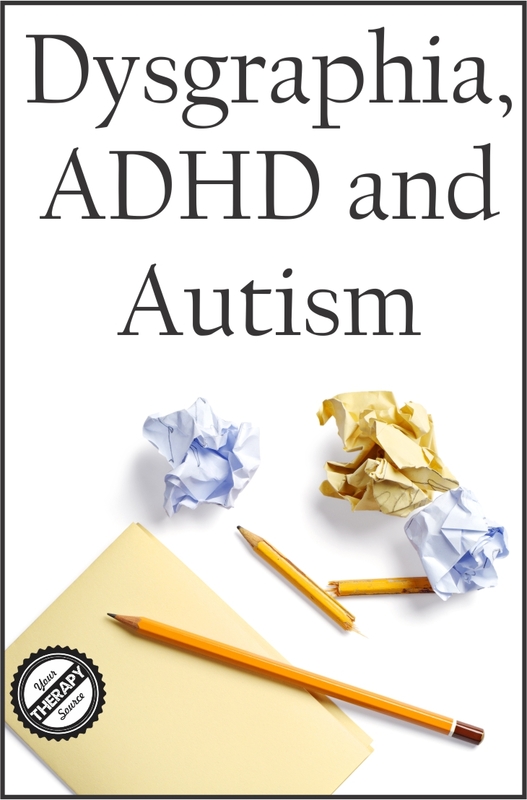 This study included 1034 children with normal intelligence and ADHD–Combined, ADHD–Inattentive, or autism. Each participant completed the Developmental Test of Visual-Motor Integration (VMI) and Wechsler Intelligence Scale for Children (WISC). VMI and WISC Coding scores were significantly lower than IQ and the normal mean of 100 for all diagnoses. 92% had a weakness in graphomotor ability relative to other abilities. the prevalence of dysgraphia did not decrease with age or diagnosis, despite older children having up to 10 years more writing instruction in school than younger children. 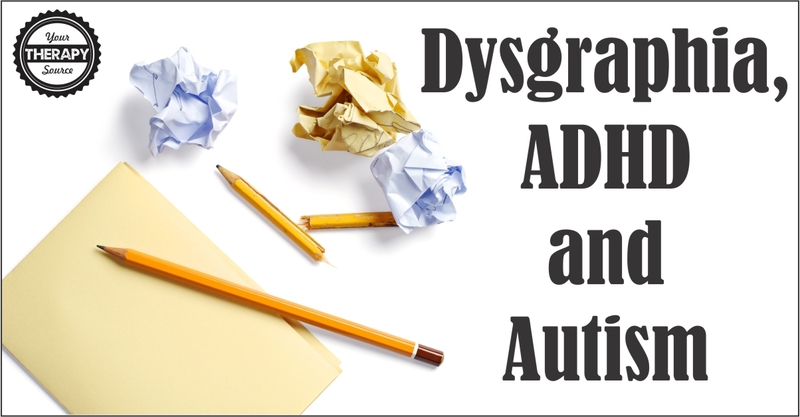 The authors concluded that dysgraphia is common at all ages in children and adolescents with ADHD and autism. This research indicates that dysgraphia is difficult to remediate and is present at all ages. Schools should focus on compensating for dysgraphia with accommodations in addition to trying to improve handwriting. Technology may be helpful such as keyboarding, word processing and/or speech recognition software. In addition to using technology, based on each individual student’s needs try modifying the following regarding the workload at school: decrease the amount of written work, provide notes and outlines instead of requiring copying, offer multiple choice answers, allow dictation or do not penalize for messy handwriting. Reference: Mayes, S. D., Breaux, R. P., Calhoun, S. L., & Frye, S. S. (2017). High Prevalence of Dysgraphia in Elementary Through High School Students With ADHD and Autism. Journal of Attention Disorders, 1087054717720721. View all of our handwriting resources here.